About a 5-minute walk from Kyoto’s Karasuma Oike Station is the bustling commercial row known as Sakai-machi Dori. 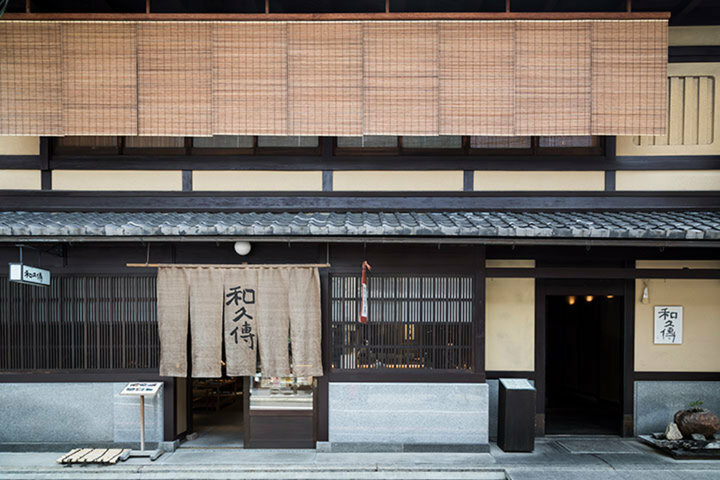 This is where you will find "Muromachi Wakuden," a restaurant built in the same style as one of Kyoto’s traditional “Machiya” townhouses. 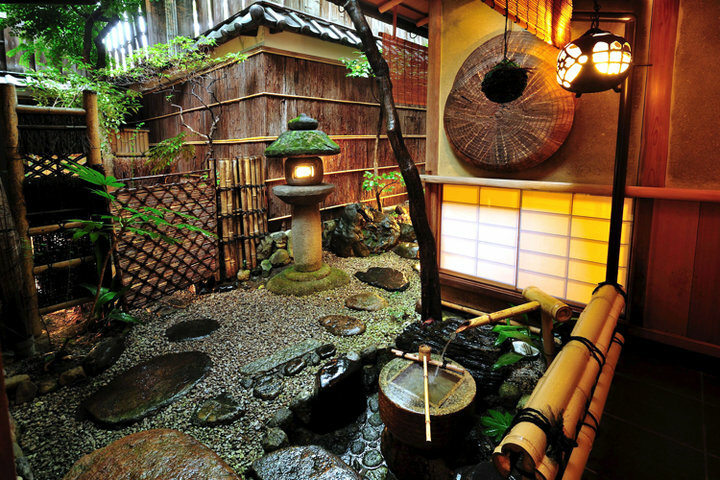 The entrance is wide and expansive, which is a rare sight in the city of Kyoto. 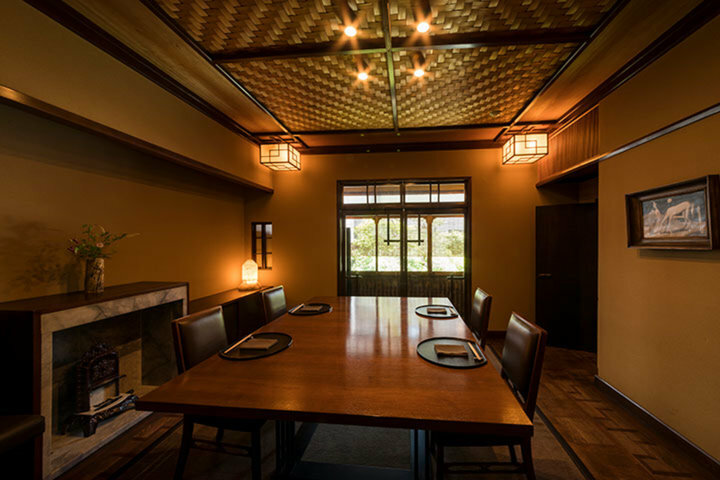 The interior is decorated with a painting by Seiji Togo, and there is also a gorgeous courtyard that you can only find in a traditional style building like this one. The restaurant’s ambiance goes a long way to let guests feel completely at ease. 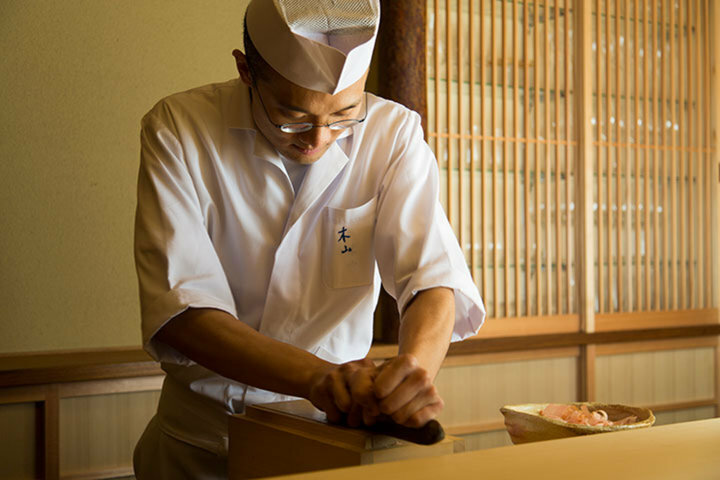 Mr. Shinya Matsumoto, who serves as the head chef, highlights each season with delicate flavors that brim with a rustic sense of beauty. 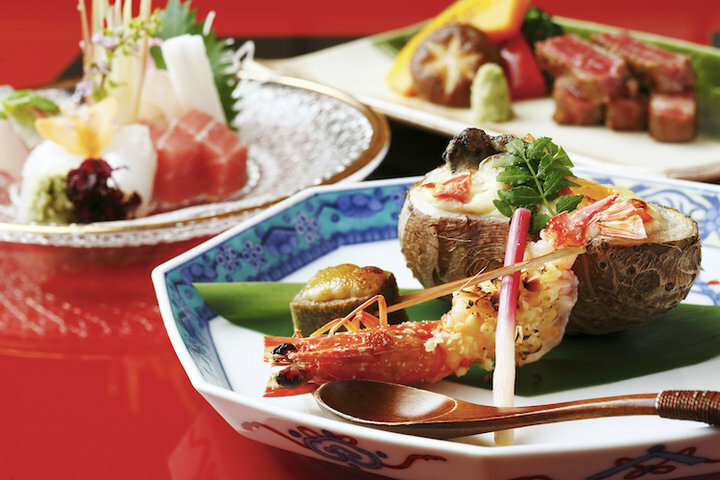 Seasonal specialties are prepared throughout the year to give a vivid sense of Japan’s four distinct seasons. 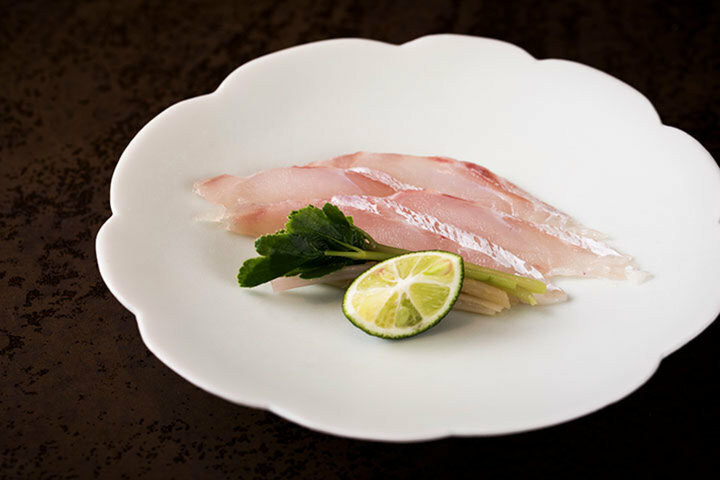 This includes well-known seasonal favorites such as Japanese pepper blossom with Wagyu beef shabu-shabu in the spring, sweetfish during the summer, dagger-tooth pike conger eel wrapped in matsutake mushrooms for autumn, and crabs for winter. Situated off in the area known as “Kyoto Tango,” Wakuden has its own private farm used to grow wholly organic rice that is carefully selected to make sake. 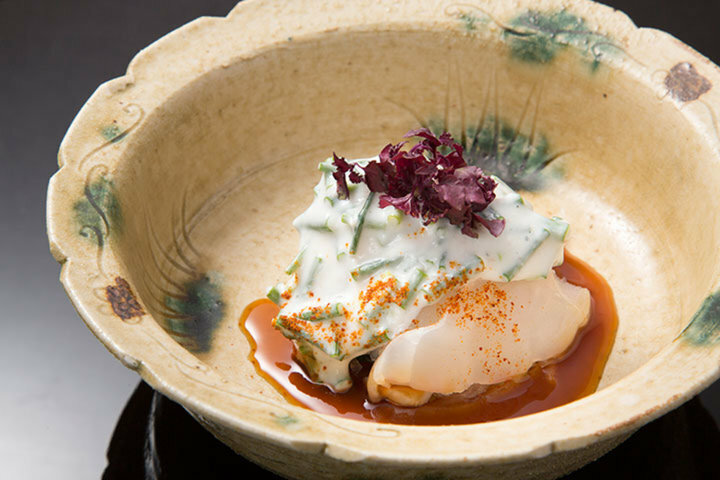 The restaurant uses a type of rice called “Ise Hikari,” which also serves as special ceremonial rice at Ise Grand Shrine. The Wakuden restaurant group contracts vegetable plots to grow their own ingredients as well. 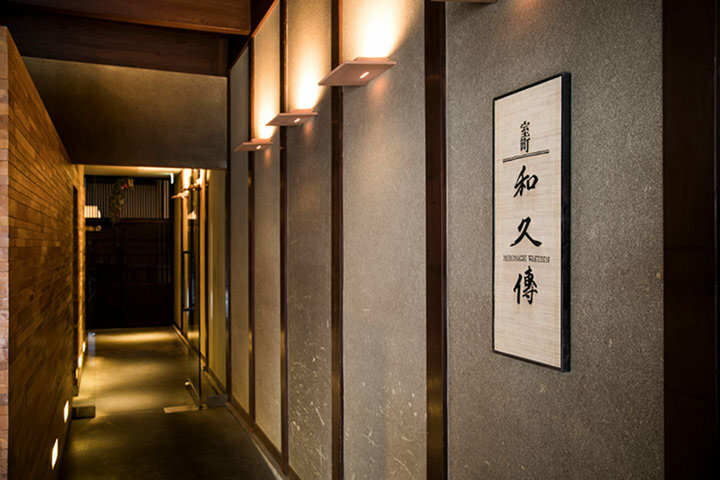 Their impressive counter space is built with wood from Japanese chestnut trees, and guests sitting there can catch an awesome display of seasonal ingredients prepared right before their eyes. 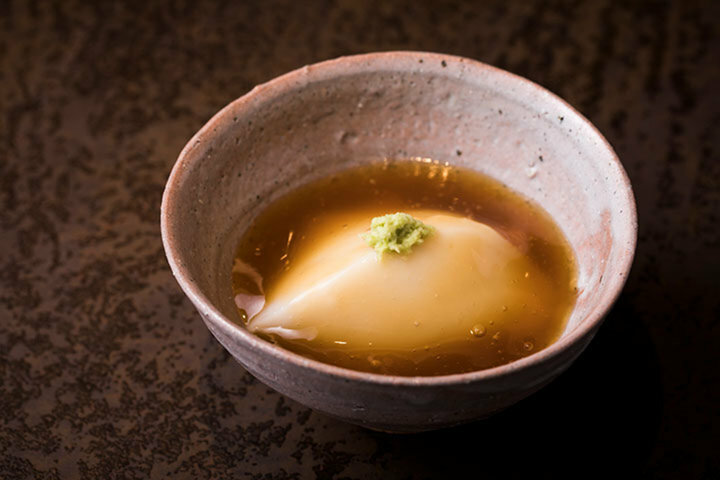 This adds a fun first-hand sensibility to the dining experience, and it makes for a perfect setting to enjoy traditional Japanese style cooking. They offer a versatile range of seating options, including 2 wide and spacious counters (15 seats and 7 seats respectively), as well as 4 different large-sized private dining rooms (8 to 20 guests). They also have private rooms that are perfect for families that want to bring their children along, and they even prepare a special selection of dishes for small children to enjoy. 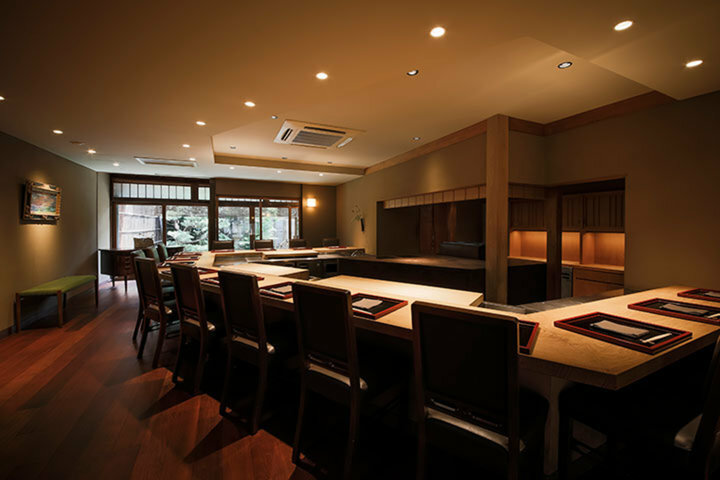 Furthermore, the restaurant is close to Kyoto’s business district, which makes it a common spot for co-workers looking for somewhere to dine out. 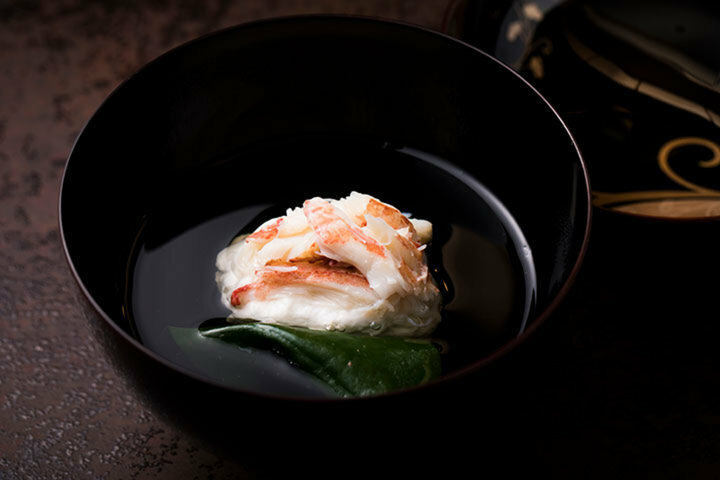 The seasonally inspired menu here offers delicate Kyoto-style cuisine prepared with a vivid selection of ingredients that sure leave a memorable impression on each guest.